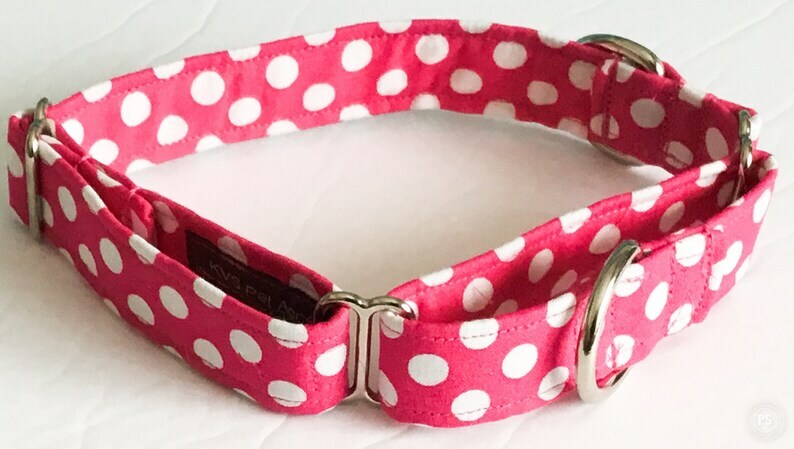 This listing is for a Hot Pink and White Martingale Collar. The buckleless martingale collar can be purchased with a matching 5 ft leash in the options when ordering. A MATCHING FLOWER, BOWTIE, KEYFOB, OR FRIENDSHIP CHARM BRACELET CAN BE PURCHASED AT THE LINKS BELOW THIS DESCRIPTION.